Can I Save a Sore Tooth in North Dallas? A toothache is a common problem Dr. Greer treats through his emergency dental services. Often, when you have a sore tooth in North Dallas, it is natural to be concerned about the long-term health of the tooth. You may be fearful that the tooth will need extracted; however, this is not always the case. There are many reasons why you may develop a toothache. The outcome of the situation depends on several factors, such as the cause of the pain and how quickly you receive care. If you have a sudden toothache, you need to contact our office to schedule an appointment immediately. One of the most common reasons you may have a sore tooth is due to tooth sensitivity. This develops when the enamel becomes weakened. As a result, the dentin and pulp of the tooth are more prone to irritation. It is not uncommon to experience sensitivity when the tooth is exposed to temperature changes. To resolve the discomfort, we can recommend certain procedures and products to help strengthen the enamel, such as fluoride treatments and tooth sensitivity toothpastes. A painful tooth can be due to a cavity. A cavity is a hole that forms in the enamel to expose the dentin. This is known as tooth decay. Often, when the tooth is exposed to temperature changes, sugary foods, and even pressure, the pain will increase. Cavities are easily treated and will not cause you to lose the tooth. However, to save the tooth, you need to have the cavity treated quickly to prevent it from reaching the pulp of the tooth. Bruxism is a condition that results from grinding of the teeth. The added stress and pressure on the teeth can cause them to become sore. Over time, the soreness can progress to cause the teeth to become loose. This can lead to the loss of the teeth. Thankfully, your dentist in North Dallas can provide you with a mouthguard to protect the teeth from further damage. Advanced stages of gum disease can cause the teeth to become sore. Gum disease is an infection that develops in the gum line. If the infection is not treated, it will lead to tooth loss. You need to practice proper oral hygiene and maintain preventive appointments to prevent the infection. If you have gum disease, you need periodontal therapy to prevent tooth loss. A sudden, extreme toothache could indicated a tooth is infected, known as an abscessed tooth. To save the tooth, you need immediate care. If you delay care, you will likely lose the tooth and cause further dental health complications. An abscessed tooth is routinely treated with a root canal to restore the health and function of the tooth. 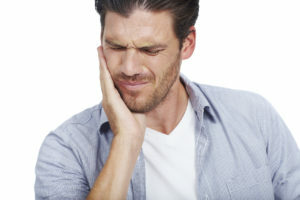 A painful tooth can often be the result of a dental emergency, such as a knocked out or dislodged tooth, broken or fractured tooth, or a lost dental restoration. These require immediate care to save the tooth from extraction. If you are having a toothache, you need to contact our office right away. Dr. Greer will find the cause of the pain to save your tooth. Comments Off on Can I Save a Sore Tooth in North Dallas?